On Saturday September 28, 2013 @ 11:15AM a young male was walking home with a friend near 249 North Main Street Rt. 27 (near Dunkin Donuts) when the juveniles noticed an older model green Expedition traveling southbound beeping its horn so as to get their attention. The operator of the vehicle, hanging his head out the window, in a loud voice said “DO YOU WANT A RIDE”. As the two Juveniles separated the same green Expedition turned around to go northbound passing one of the young males as it continued on. There was no other contact with the witnesses. 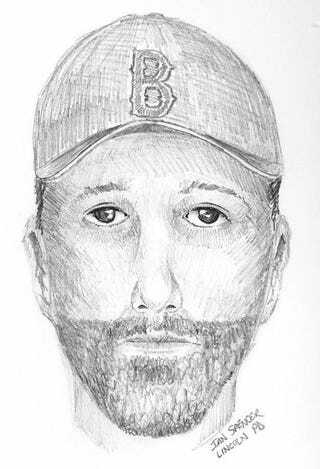 If you're in Middlesex County and you see a bearded white guy in a Red Sox cap near a Dunkin' Donuts, tase first, ask questions later.